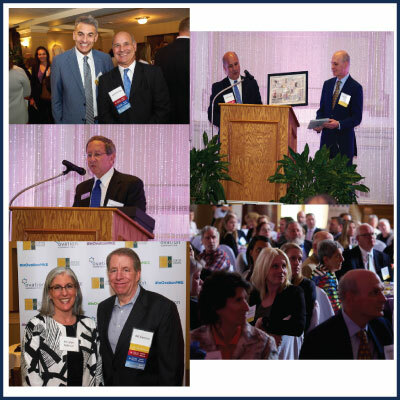 Thank you to everyone who attended The Jewish Home and Care Center Foundation’s In-Ovation Annual Luncheon event honoring the legacy of Helen Daniels Bader and the 25th Anniversary of Ovation’s Helen Bader Center. Just a few among thousands of reasons why Ovation Communities is wonderful place to live and work. We have such a rich history of dedicated leadership and staff caring for phenomenal residents. Nita Corre’s ob”m has left an indelible legacy. Thank you Julie Feldman for a touching and meaningful video production! We are truly grateful to the vision of Helen Daniels Bader who paved an important path for older adults with memory loss, Alzheimer’s and other dementia. Thank you to Dan Bader, the trustees and staff at Bader Philanthropies for your generosity and fantastic partnership, we are forever grateful! Thank you to Julie Feldman for producing a terrific video!